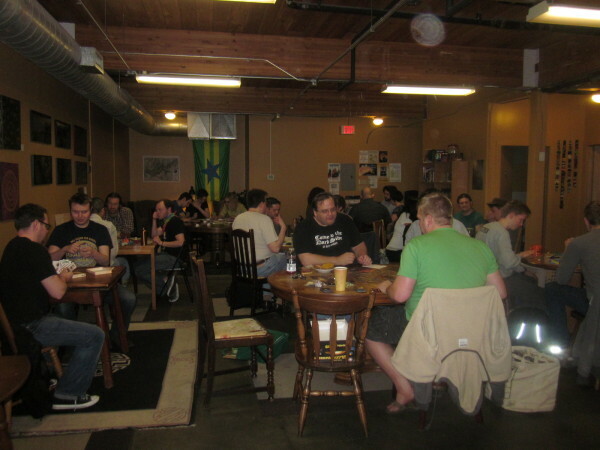 Wayward is the home, headquarters, community nexus, or general hangout for many social, fandom, gaming, charitable, writing, and other groups, both formal and informal. We are very proud of the many communities that have chosen to gather at Wayward, and for whom Wayward provides a welcoming space where their group can flourish. Below are just a few of the groups/organizations that currently meet at Wayward. We’ve included meeting times for open/public groups (noted in bold) that welcome drop-in participants. Please follow the links provided to learn more about some of the groups that meet at Wayward!